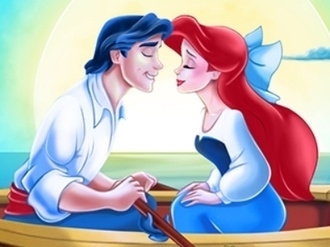 See the story of the mermaid, her best friend and the king in this Ariel puzzle game as she will need your help to piece together all the puzzles in order to see the images that the text on the left pages describe. Once upon a time there was a beautiful girl named Aurora. Her destiny is to meet the love of her life on her 16th birthday and be rescued by him. 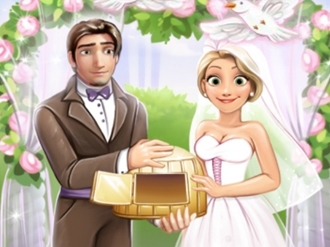 In this exciting new Enjoydressup game you will have to make the right choices so she can fulfill her destiny. Depending on the choices you make you will create the story step by step. To put it differently, you will make your own story. After Rapunzel said `yes` in front of the altar, Flynn wanted to surprise her with the most beautiful room for their wedding night. But first help her to get ready for her magical night by choosing a dress, accessories and apply some gorgeous make up! Show your designer skills and combine different flower decorations, elegant furniture and romantic candles. It must be perfect for Rapunzel`s wedding night. They`ll be very happy together! 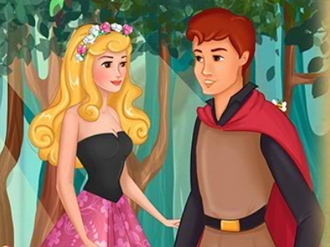 Love is in the air for the adventurous princess Rapunzel and her handsome thief Flynn Rider! Help the young lovers hide their relationship from Maximus and kiss before time runs out. Be sneaky and trick the watchful palace horse into thinking that nothing happened. Rapunzel and Flynn will show Maximus once and for all that love has no boundaries! Elf Story is an adventure game presented to you by www.bestgames.pk. This game is totally mouse control. Click at the boy and other objectives to trigger events and use the things you get to get interactions. Find out all the objectives to fit the items lined up at the bottom of the screen. Click at the FREE KUPO button to collect kupos. You will meet enemies . Use your weapons to fight against them. 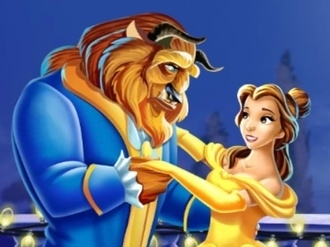 Make the Beauty and the Beast fall in love with this Disney princess kissing game and she will be able to break the curse that makes her man look like that. Do not get caught by the spectators that lurk nearby.